Figure 1: Principle of Gregory antenna. The Gregory antenna is an antenna with a secondary sub-reflector in front of a concave primary mirror, which is usually a paraboloid. The Gregory antenna is designed similar to Cassegrain antenna. In the Gregorian antenna, the radiator is located behind the primary focus. 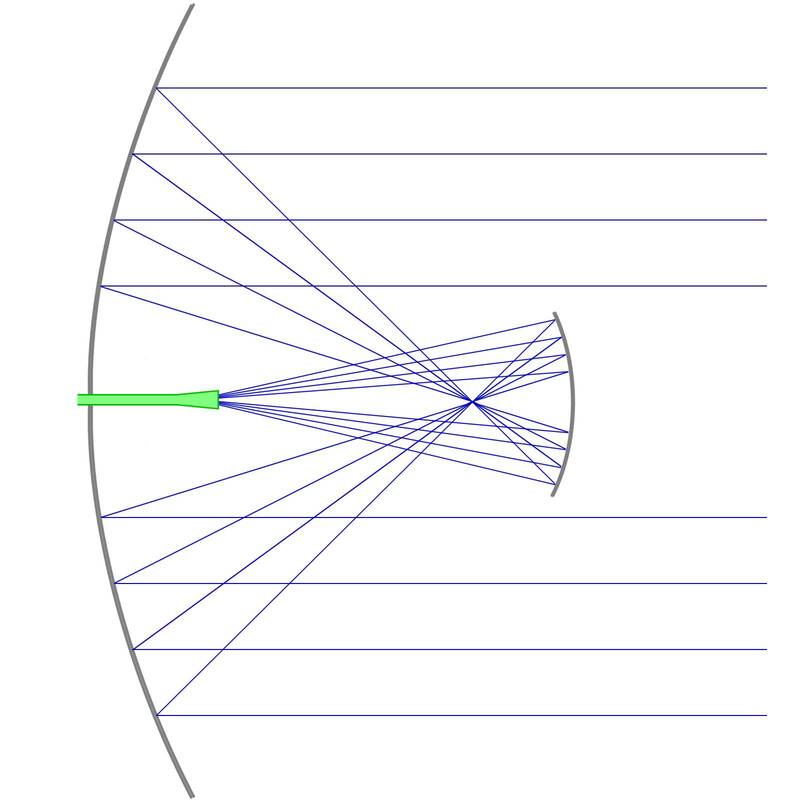 Because of the sub-reflector is ellipsoidal concave, it has two focal points between the two reflectors. One focal point of this ellipsoid coincides with the primary focus of the paraboloid. The best position of the primary radiator is the second focal point of the ellipsoid. 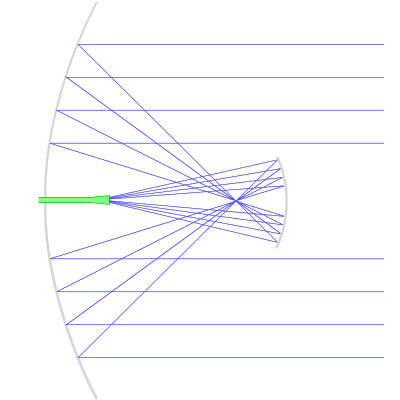 The radiator of the Cassegrain antenna is located at the focal point of a convex hyperbolic sub-reflector before the focus of the primary reflector.